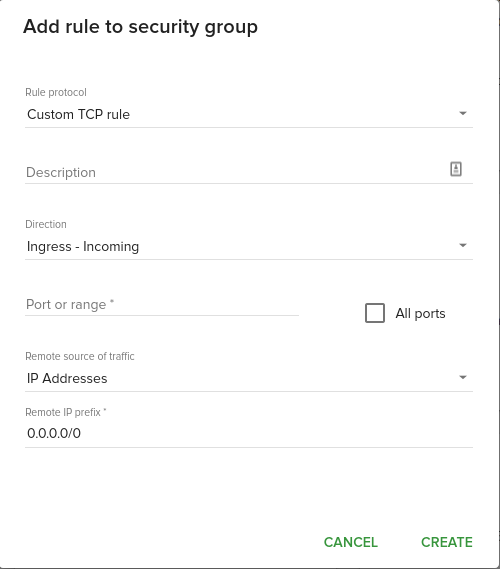 On this page the end user can manage security groups and security rules to manage network traffic. 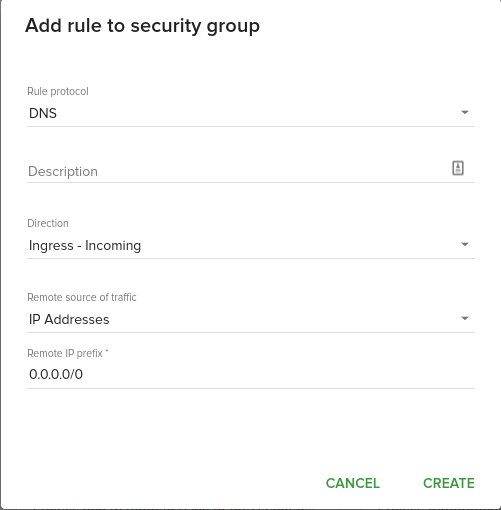 By default all network traffic is blocked and you define security groups and rules to allow specific network traffic. 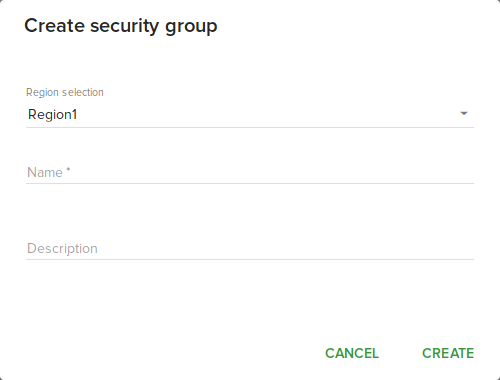 To create the security group select openstack region, fill up the group name and description and click Create. In this dialog you can change group name or description. 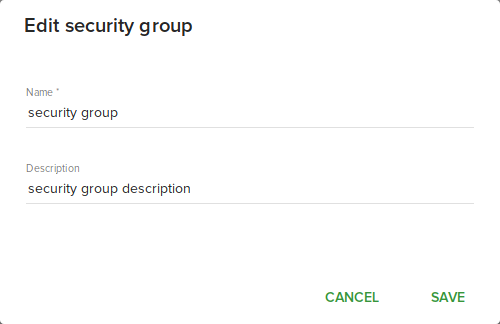 Clicking Delete security group will delete the group. 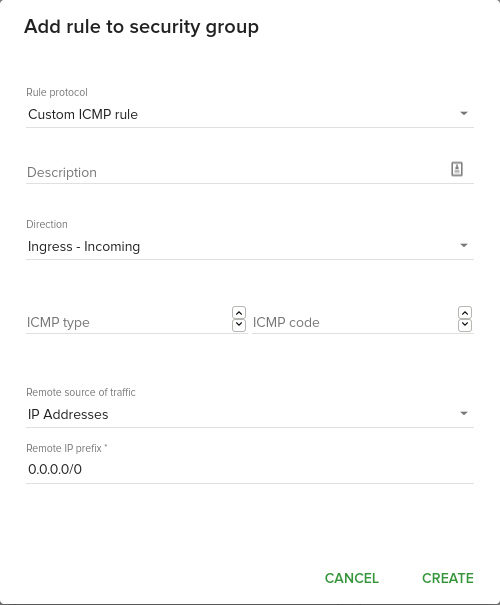 For specific kinds of rules more fields are available. 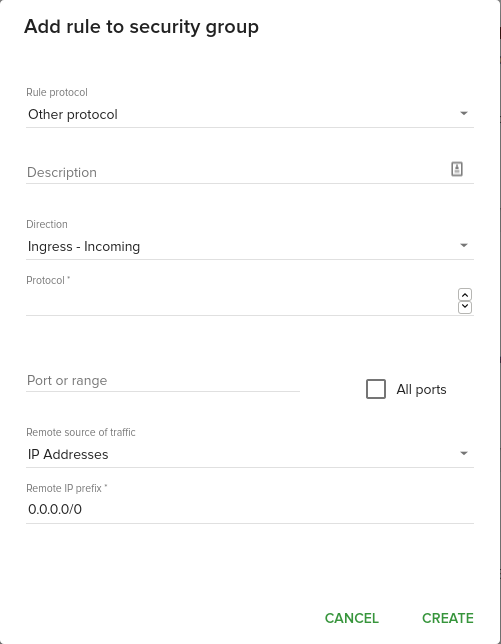 Security rules can be deleted on security group details page.